When it comes to living legends in the Texas and Latin Music pantheon, few have been at it longer and are more revered by their fans and peers than vocalist, songwriter and bandleader Sunny Ozuna. Born and raised in San Antonio, where he still resides, Sunny became a star right out of high school in the late ‘50s and hasn’t looked back in the six decades since. After releasing dozens of albums since the mid-1960s (in Spanish and English), Sunny still keeps a busy schedule and loves performing as much as he did as a teenager. His classic 45s regularly change hands for hundreds of dollars among collectors around the world, affirming his timeless appeal. As a logical next step after Big Crown’s excellent (and Sunny-approved) Mr. Brown Eyed Soul compilation from September, the label has started digging into the vaults of Sunny’s Key-Loc Records label to unearth some legit soul classics – which are hard to find even in San Antonio, and clean originals will cost you a pretty penny if you ever luck into one – and have not been on vinyl since the late ‘60s. Each has been remastered and includes original album art. 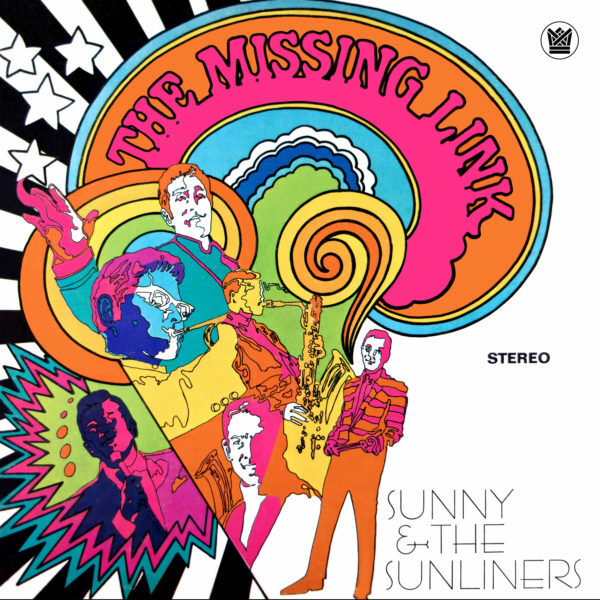 Second in the reissue series is The Missing Link, a 10-cut, all instrumental album, and the tracklist is a wild ride indeed. Ranging from hip soul – James Brown’s “Soul Pride,” The Inclines’ Muscle Shoals groover “Pressure Cooker,” and the Meters classic “Cissy Strut” – to a wide swath of ‘60s Texas Latin party essentials (“Uno,” “Rosita Bonita” and “La Pecosita”), the Sunliners are in top form all throughout. It won’t take much to envision a San Antonio backyard BBQ in the early ‘70s with this long player spinning in the background, on repeat. Instrumental party albums were all the rage back when this hit in the late ‘60s, and Sunny Ozuna and crew show here that they could groove with the best of them. Throw it on, break out the back deck smoker, and let the good tunes roll.